Mom Loves 2 Read: Social Media Boost - Blog Hop - join the fun, boost your followers! link up! 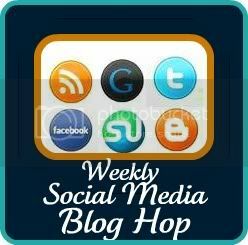 Social Media Boost - Blog Hop - join the fun, boost your followers! link up! Join the new Social Media Boost blog hop - follow as many as you can, gain more followers and spread the word! Any blog or blogger welcome! Just make sure to put the type of audience you cater to! This way any blogger can sign up to boost their blog, and each person who follows can choose they type of blogs they want to follow! Gives everyone a chance to boost their followers and make new blogger friends! Rule #1 ~ you MUST follow the host blog (me) and any co-hosts! Rule #4 (recommended but not mandatory) please leave a comment on other blogs letting them know you stopped by! It's the nice thing to do. Weekly Hop runs from Sunday evenings at 4pm through Noon on Saturday. Please post a direct link to your blog's GFC sign-up and/or your Google+ page(s)! My special Co-Host this week is Deanne Crazed! Ok, now ~ READY?? SET . . . . HOP! Want to be a Co-Host? Click Here to contact me!